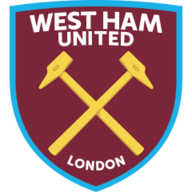 West Ham took the lead in a lively first-half through Mark Noble from the penalty spot (27) after goalkeeper Vicente Guaita clattered into Michail Antonio inside the area. 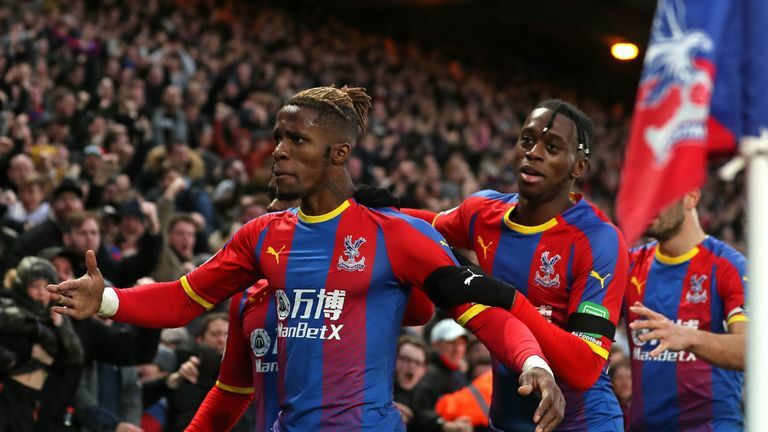 In an entertaining clash where two golden opportunities for Palace to equalise were spurned by James McArthur and Michy Batshuayi, Zaha found the long-awaited leveller in the 76th minute when he sneaked in a deflected strike at Lukasz Fabianski's near post to extend West Ham's winless run to four matches. A point apiece means West Ham move into 10th on 33 points by goal difference. Palace, meanwhile, have moved up to 13th on 27 points. West Ham had two good chances to take the lead in quick succession. In the 13th minute, Ryan Fredericks' close-range attempt was stopped by Guaita moments before Felipe Anderson slipped through Robert Snodgrass, whose shot was blocked by the Spanish goalkeeper. James McArthur unleashed a driven shot from close range in the 16th minute which Fabianski batted away with a strong right hand, but it was West Ham who took the lead in an end-to-end half. West Ham were correctly awarded a penalty when Guaita clattered into Antonio before Noble sent the 32-year-old 'keeper the wrong way from the spot to score his first goal of the season. Christian Benteke came close to equalising on the half-hour mark, but Fabianski was there again to make a fine diving stop. Two changes for Crystal Palace. Wilfried Zaha came in for Jordan Ayew and Martin Kelly took the place of the injured James Tomkins. West Ham named the same team from their 1-1 draw with Liverpool. 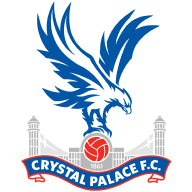 Palace were reinvigorated in the second half and should have taken the lead in the 52nd minute when Patrick van Aanholt slipped through McArthur, but he smashed his effort wide from six yards out. Batshuayi was introduced midway through the second half and was presented with a glorious chance to send Palace level in the 68th minute, but he swept a similar effort wide of Fabianski's right post. And with the clock winding down, Palace finally got the goal they were searching for through Zaha, who played a neat one-two with McArthur before his smashed shot off Pedro Obiang deflected into the top corner. To round off a game of many missed chances, Zaha then had a great opportunity to win the game for Palace in the 80th minute, but his curled strike from a narrow angle was claimed by Fabianski and the points were shared. West Ham are unbeaten in their last eight Premier League meetings with Crystal Palace (W4 D4). Only Southampton (12) and Huddersfield (5) have picked up fewer home points in the Premier League this season than Crystal Palace (13). West Ham didn't manage a single attempt on goal in the second half, while allowing Crystal Palace 17 shots after half-time. Wilfried Zaha scored his first home goal in 11 games in all competitions for Crystal Palace, since netting against West Brom on the final day of the 2017-18 campaign. 55% of West Ham midfielder Mark Noble's Premier League goals have come from the penalty spot (21/38). Of players with at least 30 goals in the competition, only Leighton Baines (63%) and David Unsworth (58%) have scored a higher proportion from the spot. Wilfried Zaha had six shots on goal for Crystal Palace in this game, as many as the entire West Ham team managed. 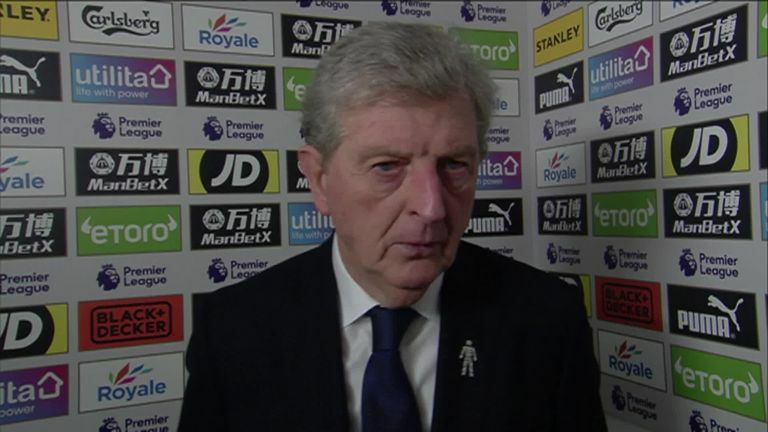 Crystal Palace manager Roy Hodgson says he was disappointed with the result but very pleased with his side's performance in their 1-1 draw with West Ham in the Premier League. Roy Hodgson: "If you don't miss chances, and we took every chance we got, every game would end 10-8. "But I was disappointed in them. I really did think with the James McArthur one and the Michy Batshuayi one we were definitely going to score. "Other chances we created the goalkeeper (Lukasz Fabianski) was very good." 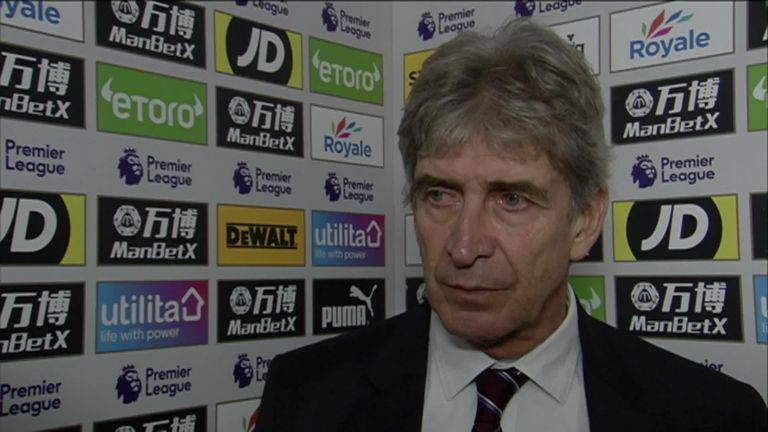 West Ham boss Manuel Pellegrini says that the draw was 'the logical result' after his side's game against Crystal Palace ended 1-1 in the Premier League. Manuel Pellegrini: "They were a little bit lucky with the goal, but they had other chances and we didn't create one in their own box. "I thought there was 45 minutes for each team and the draw was a logical result." Antonio was a constant thorn in the side of the Palace defence with his tireless running and physicality. He was rewarded for his efforts by winning West Ham a penalty in the first-half. The 28-year-old continued to cause Palace problems in the second half and was a useful outlet to help relieve some of the pressure on the visitors' defence. Crystal Palace travel to Doncaster for their FA Cup fifth round tie on Sunday. West Ham's next game sees them host Fulham in the Premier League on February 22.